The Greater Saint John Community Foundation is part of a worldwide movement of community foundations whose objective is to help build stronger and more vibrant communities. In Canada we are a part of Community Foundations of Canada, a network organization to more than 191 community foundations from coast to coast. We make charitable giving easy, flexible and effective. We work with you and your advisors to maximize the value of charitable gifts. Our goal is to help you meet important needs in the community, fulfill your charitable goals, and maximize your tax advantages. Gifts can support any charitable cause you can imagine. We believe in the power of individuals and organizations working together to effect positive change in our community. Donations to our funds are never spent. They are pooled and invested and form permanent community assets. Earnings from these assets are granted back into the community each year to registered charities right here in Greater Saint John. To serve as a trustee of gifts, support charitable organizations and inspire community leadership. To ensure a sustainable future and improve the quality of life in Greater Saint John. Kelly Evans, Executive Director Kelly Evans joined The Community Foundation as the Executive Director in September of 2013. A native of Halifax, she and her family moved to Greater Saint John in 2007. 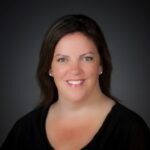 As an established community developer, project manager and advocate for priority populations, Kelly has held senior positions within the public sector, including the Nova Scotia and the New Brunswick health care systems. 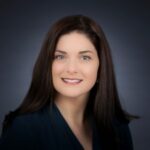 She holds a Bachelor of Science degree from Acadia University, a Bachelor of Health Education degree from Dalhousie University and a Master in Adult Education degree from Mount Saint Vincent University. 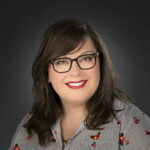 Kelly is Past-President of the Association of Fundraising Professionals, New Brunswick Chapter. She and her family live in Quispamsis. Trisha Erb, Executive Assistant Trisha Erb joined The Community Foundation as the Executive Assistant in December of 2017. She is a New Brunswick Native and alumnus of NBCC Saint John. She began her career working with the Saint John Sea Dogs for six years as the Office Manager while also serving as the Coordinator for the Sea Dogs Foundation. With a move to Calgary, AB in 2011, Trisha served as Executive Assistant to the President and CEO of Hockey Canada, and later in Edmonton, AB as Executive Assistant to the CEO and Vice-Chair of the Oilers Entertainment Group/Edmonton Oilers Hockey Club. Trisha lives in Hampton, NB. 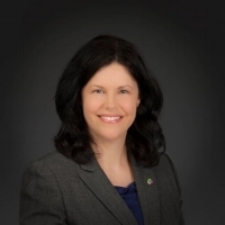 Michelle Thibodeau Coates, Chair – Michelle Thibodeau Coates is the Manager of Stakeholder Relations and is responsible for community engagement and stakeholder relations at Emera New Brunswick. Prior to joining Emera New Brunswick, Michelle spent 15 years working in communications at Canadian Blood Services, a federally regulated national healthcare agency, where she developed and implemented a variety of high-profile public health campaigns/projects at national, provincial and local levels. Born and raised in Saint John, Michelle proudly calls Saint John her home. 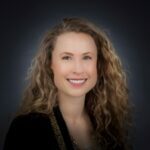 She joined The Community Foundation in 2013 as a member of the fund development committee and officially joined the foundation’s Board of Directors in January 2014. Committed to helping others and creating opportunities for residents of Greater Saint John, Michelle strongly believes in giving back to her community and has volunteered her time to various local not-for-profit organizations. 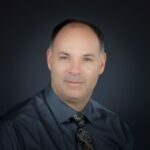 Dr. Michael Simon, Vice Chair – Dr. Michael Simon is a practicing physician, and Past President of the Saint John Medical Society, Medical Staff Organization and the New Brunswick Medical Society, General Practice Section. 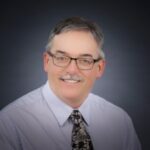 After studying at Saint Francis Xavier University and Dalhousie Medical School, he returned to Saint John in 1989 to open a Family Practice. 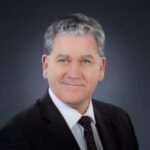 Michael serves as the Undergraduate Clerkship Coordinator for Family Medicine at Memorial Medical School, Chairman of the Board of the Lord Beaverbrook Rink and as a member of the Board of the New Brunswick Medical Foundation. 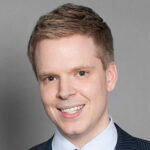 He is a weekly Medical Columnist for CBC. Heinz Schaerer, Secretary – Heinz Schaerer has lived in Rothesay for over 20 years and has volunteered his time with many organizations in the Saint John and surrounding area. He is currently employed with Bumble Bee Seafoods International as Vice President of International Sales. The job involves extensive travelling. Heinz has an Honours Business (Sales Management) degree from Wilfrid Laurier University in Waterloo, Ontario and Diploma in Asian Studies from Kansai Gaidai University in Osaka, Japan. He is currently involved with the Kennebecasis Valley Oasis Youth Centre, Rothesay High Rotary Interact Club, and Saint John Boys & Girls Club Endowment Fund. John Lawrence, Treasurer – John Lawrence is Corporate Accounting Manager with Moosehead Breweries Ltd. A graduate of Acadia University, John is a CPA achieving both CA and CGA designations. John’s past charitable work includes Treasurer for the Wolfville Historical Society, serving on the Board for Kentville’s Relay for Life, Co-Treasurer of Shining Horizons Therapeutic Riding Association and volunteering with Prince Charles Elementary/ Middle School breakfast program. John has been Treasurer for the Community Foundation since starting with the Organization in 2013. John and his family live in Rothesay, NB. 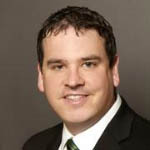 John L. Travis, Past Chair – John L. Travis is an Investment Advisor and Branch Manager of CIBC Wood Gundy’s Saint John office. A Saint John native, John was educated in Rothesay and later received a BBA from UNB Fredericton. He has been an active volunteer for a variety of Saint John community associations including the Saint John Board of Trade, The Business Community Anti-Poverty Initiative, the Rocmaura Foundation, the New Brunswick and Canadian Curling Associations and is also Past Chair of The Stan Cassidy Foundation. John and his family live in Rothesay. 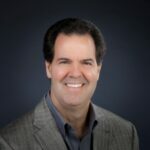 Joseph Brooks has recently retired as a Human Resources Manager for Rogers Communications. A graduate of the New Brunswick Community College, in 1997 Joe took on the role of treasurer for fledgling group which today is the Human Resources Association of New Brunswick.Joe recently joined the volunteer Family Partnership Council at the Loch Lomond Villa and today his involvement with non-profit groups like The Community Foundation include The Cool Chicks and Ugly Doc-lings which performs several times throughout the year in support of local Charities. Jennifer Brown is a Community Planner with the City of Saint John. Educated in Community Design, Environmental Planning, and Resource Management, Jennifer is passionate about fostering community and creating great places to live, work, and play. Having spent many years away, Jennifer returned to her hometown of Saint John in 2017 hoping to contribute positively to the city of her youth. 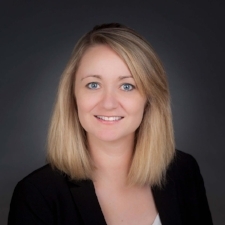 Jennifer is an active and enthusiastic volunteer in her profession’s governing bodies, the Canadian Institute of Planners, and the Atlantic Planners Institute, and has spent time volunteering with various athletic organizations. Judith Brown is a recently retired Chartered Accountant with over 20 years’ experience in publicly accountable organizations, including Director of Finance & Administration for the Saint John Airport Inc. and Controller and Treasurer for the New Brunswick Museum. A native of Halifax and graduate of Acadia University (BBA) her local volunteer experience has included board positions with Saint John Destination Marketing Inc. and the Saint John Amateur Speed Skating Club. Judith lives with her family in Rothesay. Robert (Bob) Crowley is VP Finance with the Northrup Group in Saint John. Originally from St. John’s, NL he has lived in Quispamsis since 2001 with his family. He has served on the Board of the United Way of Greater Saint John for seven years as campaign chair, Board member and Board chair. He is currently Treasurer of the Saint John Theatre Company. Bob is also committed to his church and is co-chair of the Quispamsis United Church Council. Harry Daley is a Youth Advisor with Pathways to Education. Born and raised in Saint John, Harry graduated from UNB Fredericton’s Renaissance College with a degree in Interdisciplinary Leadership. 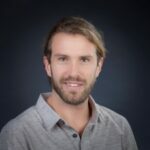 He has dedicated his professional life to community development and has assisted in the start-up of a number of non-profits both locally and internationally. He served as Chair of the Youth Vital Signs Committee, is a member of the granting committee, and has served as a member of the Board since 2016. 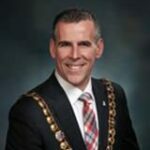 Mayor Don Darling was elected on May 9, 2016 as the 78th Mayor of the City of Saint John, New Brunswick. Most of his growing up years were spent in Saint John. He and his wife Patti have raised three grown children in the city. Mayor Don Darling is committed to growing the Saint John population and economy, and enhancing opportunities for all of its citizens. 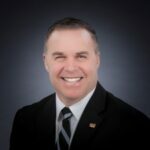 He brings his business senior executive leadership in the residential construction industry, along with his strong commitment and devotion to serving in public office, to fuel economic momentum and optimism. Mayor Darling believes in giving back to the community through volunteerism. He and his family are active in the community through volunteerism with sport, and his faith community. He supports many of the city’s non-profit organizations and encourages others to do the same. He has a deep understanding and appreciation for good governance, risk management and accountability when tackling big issues. Mayor Darling is committed to bringing his leadership, development know-how and collaborative approach to the table, to focus on our city’s growth, prosperity, and putting citizens first. 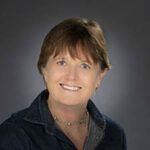 Cathy Fawcett is a founding partner at the law firm of Godbout Fawcett. Born and raised in Saint John, she obtained a degree in Business Administration from UNBSJ and her law degree from UNB. Cathy has been an enthusiastic volunteer throughout her professional life with varied organizations including Key Industries, Scouts Canada and her profession’s governing body, the Law Society of New Brunswick. Cathy and her family live in Grand Bay – Westfield. Darlene Mapp is a registered massage therapist specializing in breast cancer post surgical rehabilitation. 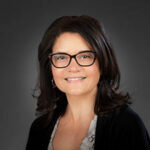 Darlene has held various positions for the College of Massage Therapists of New Brunswick and is currently serving as Chair of the Complaints Committee. Darlene is also a certified yoga teacher. She teaches ‘EmpowerME’ yoga classes for women with cancer and along with her participants in her ‘Yoga Feeds the Community’ class support the Saint John Community Food Basket. Darlene is a member of the Grant Committee for the Saint John Community Foundation. She has a genuine passion for giving back to the community through her service and volunteerism. Chris Pearson is President of Acadia Broadcasting Limited. He moved to Saint John in 2015 after spending close to 30 years working in the radio industry in Bridgewater, Nova Scotia. Chris grew up in the Annapolis Valley; located along the Bay of Fundy. 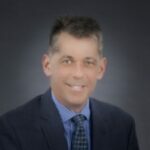 He has extensive volunteer experience and a history of building strong partnerships with community organizations such as the Health Services Foundation of the South Shore – which organizes fundraising initiatives to help purchase hospital equipment. Chris and his family live in Rothesay. Kristin Ross is a Social Worker with the Department of Social Development. She was born and raised in St. Thomas, Ontario, and educated at Dalhousie University (BA), St. Thomas University (BSW) and Wilfred Laurier University (MSW). With eight years on the CUPE 1418 sub-local executive, she is actively involved in the Labour Movement. Kristin is also passionate, both personally and professionally, about Wellness with a focus on Workplace Wellness. Gerry McMackin, Honorary Legal Counsel Gerry McMackin is a senior partner at Stewart McKelvey. He is an active community volunteer, having served on the Rothesay Town Council for nine years and is a past President of the Union Club. He is a long-serving Governor and former Chair of Rothesay Netherwood School and is a director of the Wiggins Home. 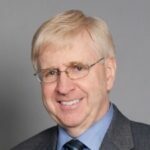 Gerry is a former Vice-Chair and Secretary of The Greater Saint John Community Foundation and serves as its Honorary Counsel. He also served on the Board of Directors of Community Foundations of Canada for eight years. In recognition of his community service, Gerry was awarded the Queen’s Jubilee Medal in 2003 and the Paul Harris Fellowship Award in 2007. On the occasion of the Foundation’s 40th Anniversary in 2016, the Board established the Gerry McMackin Fund. This fund, which supports a wide variety of charitable causes throughout Greater Saint John, is in recognition of all Gerry has contributed to the Foundation.